Skiing is a physically demanding sport that requires a lot from your mind and body. 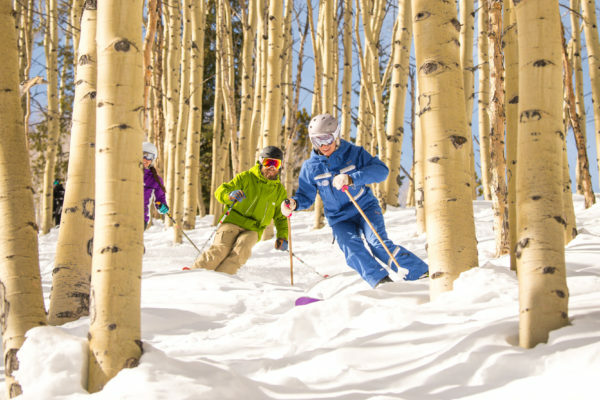 With a base elevation of 8,100ft (2,469m) and summit elevation of 11,440ft (3,488m), regular skiers can be caught by surprise by the affects of the high elevation here at Beaver Creek. We’ve put together some tips and tricks to ensure an easier transition to Colorado’s high alpine environment. Pre-hydrating allows a smoother transition to altitude and will ease joint pain and discomfort. Our cartilage mostly consists of water and dehydration will cause weakness and slow joint repair. Be aware of the symptoms of altitude sickness and dehydration. If you begin feeling any of the below, stop into one of our lodges where we offer complimentary cups of water or bottles for purchase! Even when you think you’re not thirsty, hydrate! Research suggests that for an unknown reason, there is a decreased sensation of thirst in an alpine environment. Breathing tends to be heavier and more frequent, and with each breath you are losing a bit of fluid. Low humidity levels also cause fluid loss through the skin. Never ignore your thirst, and consume a little more than you think you need! If you are downright sick of drinking water, foods with high water content cant be a great substitute. Many fruits and vegetables have water content of 90% and above! As you would before any athletic endeavor, be sure to get a good night sleep and eat a full breakfast. 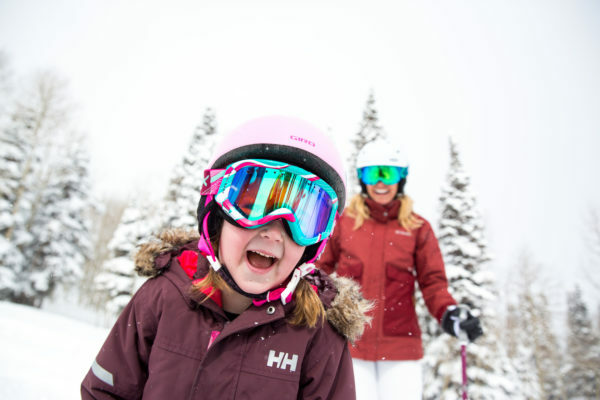 Skiing requires a lot of energy, so you want to make sure you are well fueled and rested. Be sure to take breaks during the day as necessary, and keep a snack or two in your jacket in case you lose energy during the day. Finally, be mindful of alcohol consumption. Alcohol decreases your blood oxygen, and in a high altitude environment where oxygen is already depleted, you need all that you can get! With every 3,000’ increase in altitude, UV levels rise by 10% -12%. This in combination with the highly reflective nature of snow makes skiers and snowboards particularly susceptible to a case of sunburn. It is recommended to apply a healthy layer at the beginning of the day, and then again every two hours. Don’t let cloud cover lull you into a false sense of security; it has been proven that 80% of UV radiation can penetrate light cloud cover! We recommend eye protection and Supergoop! 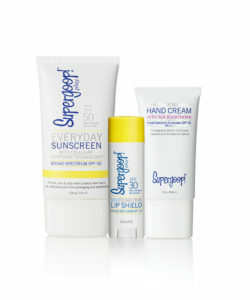 Broad Spectrum suncare products to ensure protection from UV rays.